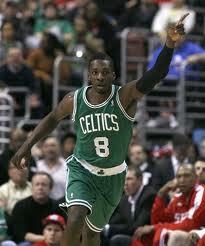 November 10, 2012 will be a day Celtics fans will remember this season. 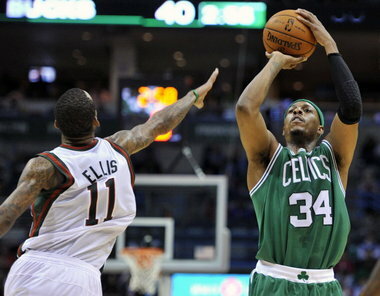 The Celtics beat the Bucks 96-92 and Jeff Green arrived. If you were only looking at the box score, his stats wouldn’t jump out at you. In 25 minutes, he had 12 points and 3 rebounds. But if you watched the game, you know exactly what I am talking about. Green was awesome in the fourth quarter on both sides of the floor. Seeing him take the ball hard to the rack was refreshing. His 8 trips to the charity stripe are very telling. Green was aggressive taking the ball to the basket. He is a matchup nightmare for teams around the NBA. He can post up smaller guards and take bigger forwards off the dribble. Last night was the first night Celtics fans saw what Jeff Green is capable of. Now I would be remiss if I didn’t say the true star of the game was Paul Pierce. Pierce basically traded buckets with Monta Ellis as the game went on. When Pierce reaches that other level that he gets to from time to time, he is truly unstoppable. Milwaukee didn’t have anyone that could stop Pierce as he went for 25 points. He still is very much The Truth. Doc Rivers obviously read my recap from the 76ers game. I called out Courtney Lee for not bringing anything to the table through the first 2 weeks of the season. Doc promptly changed his starting five, putting Lee on the bench, and starting Jason Terry. The funny thing is, the new starting five didn’t really work. The Celtics had been getting off to fast starts prior to the change. Last night they started slow but the end result is all that matters. Jason Terry was very efficient last night and looks to finally be settling into his new digs. Terry had 15 points on 5-7 shooting (2- 3 from deep). My concern, however, is the Celtics do not have a back up point guard. Terry can’t do it. I am not comfortable with Barbosa in that role. And I don’t see Courtney Lee capable of handling that responsibility either. Avery Bradley thrived playing with Rondo last year and struggled when he had to run the offense. This is something to keep an eye on going forward in the season. The Celtics travel to the windy city Monday night to take on the Derrick Rose-less Bulls. The Bulls are 4-2 and are atop the Central Division being led by a resurgent Rip Hamilton. I can be followed on Twitter @ScottieNTCF.